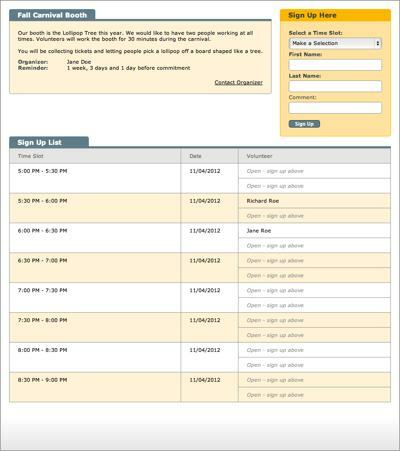 We have setup a few online sign up sheet demos below. There are two links to each one. The custom link is an example of what one of your participants would receive if you send messages from the Send management page. 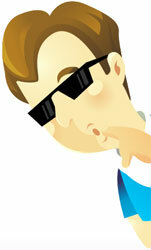 The public link is an example of what you would put on your website or within emails you send out yourself. There is no doubt about it, soccer players love to snack. That's because soccer is a super energy-intensive sport and snacks help the players recharge. 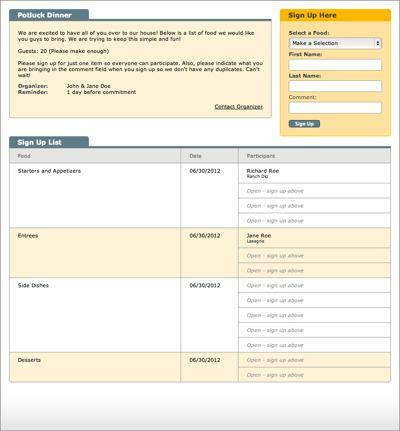 To make sure the players have snacks on hand at each game, use VolunTRAC to setup an online sign up sheet. Each family can choose the game they'll supply team snacks for. Fall carnivals are fun for the whole family. Great weather, family and friends getting together to play some old school games. When you are put in charge of staffing a booth, VolunTRAC can take the burden of getting volunteers to fill the time slots. 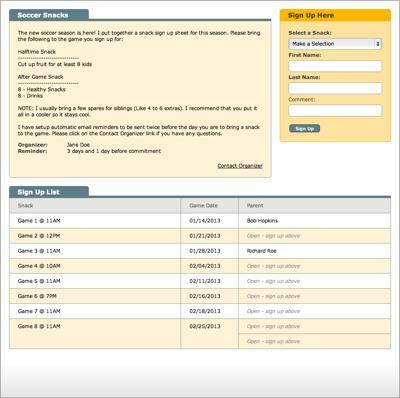 Each of your volunteers can choose when they want to work and be reminded ahead of time so there is no confusion. Potlucks are an easy way to get everyone involved in a party. A potluck is a gathering of people where each person contributes a dish of food prepared by the person, to be shared among a group. The problem is making sure there is a good variaty of food and figuring out who is bringing what. VolunTRAC organizers can enter specific foods types (Appetizers, Entrees, Desserts, etc.) and allows participants to comment on what they are bringing.